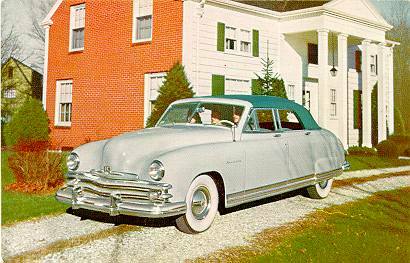 1949 Kaiser Virginian--made to look like a convertible. 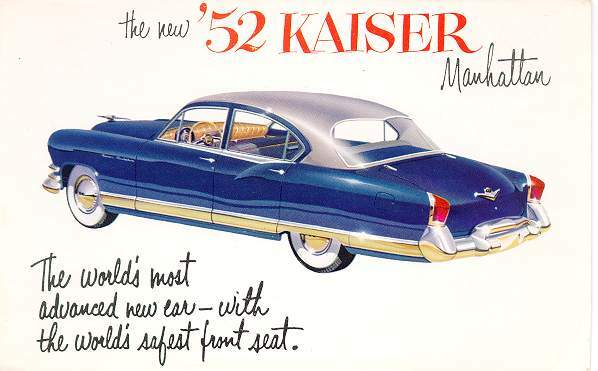 1949 Kaiser Traveler--the first hatchback! 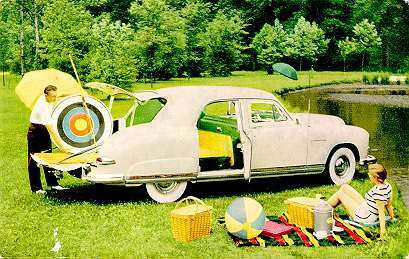 All the picnic gear and more could easily be carried. 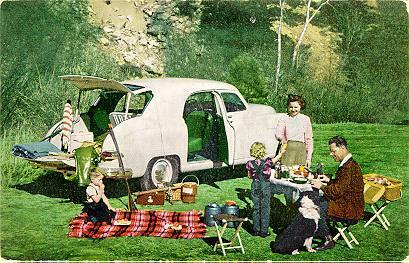 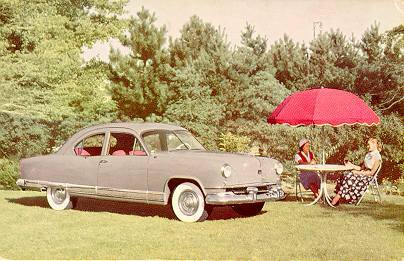 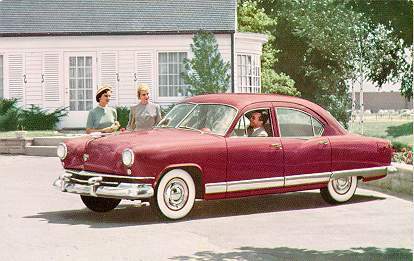 1949 Kaiser Vagabond--the upscale version of the Traveler. 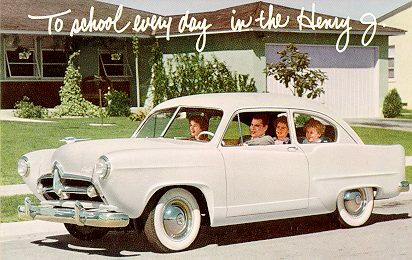 The 1951 Henry J--take it to school. 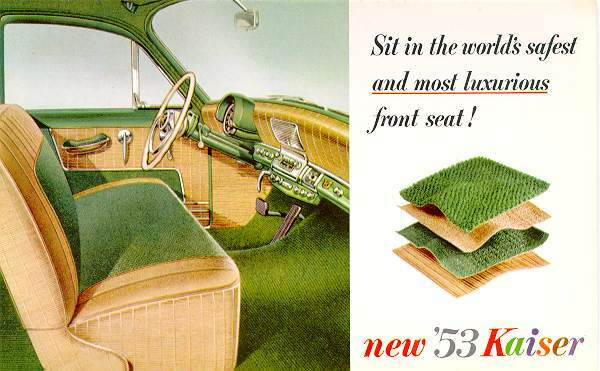 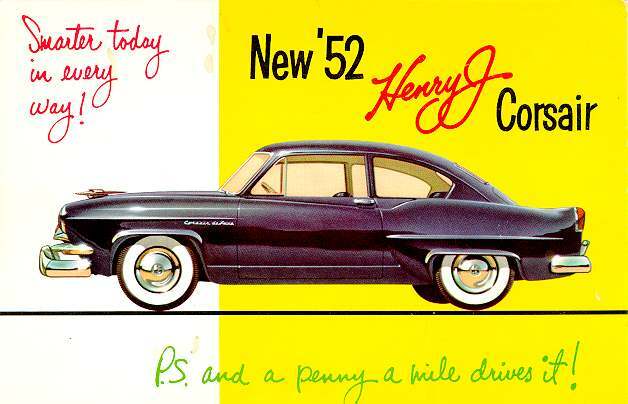 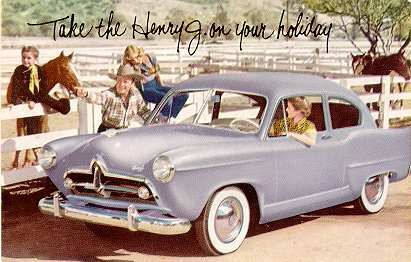 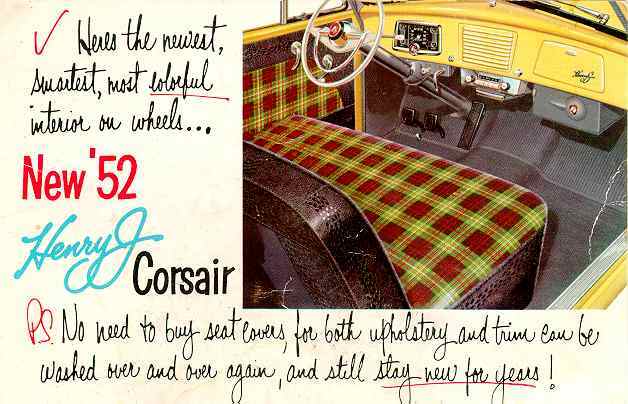 The 1951 Henry J--take it on your holiday. 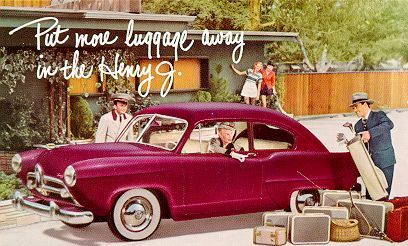 1951 Henry J with luggage. 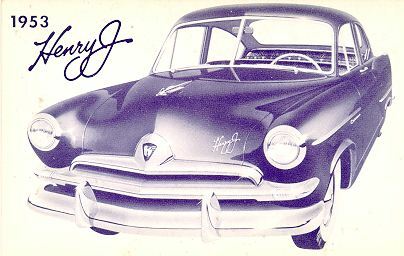 1953 Henry J--easiest to run. 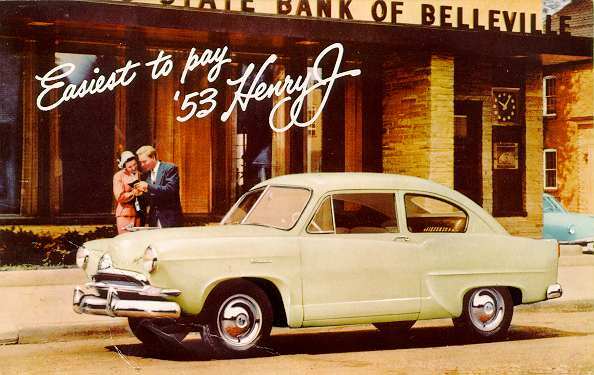 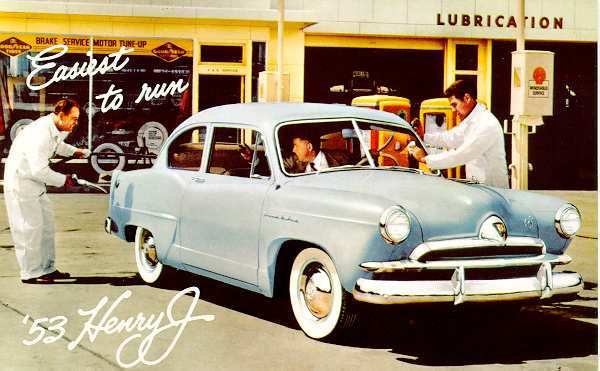 1953 Henry J--easiest to pay.